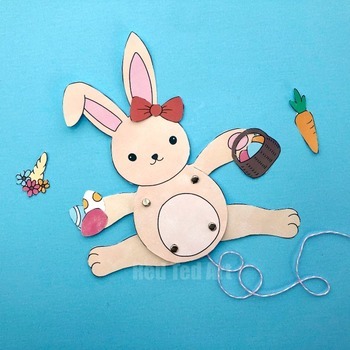 Fun Paper Bunny Puppet for Easter and spring! 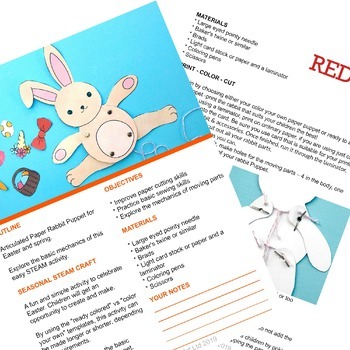 Have some classroom fun with these articulated paper puppets for Easter. 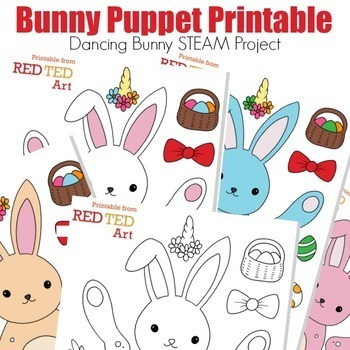 These dancing bunny puppets are a great way to explore very basic mechanics (cause and effect) and are fun to decorate the classroom with or take home as a paper toy. Choose from the "color your own" version if you have more time or the "ready colored version" if short on time. You can even make a whole set and string them up as Easter garland. 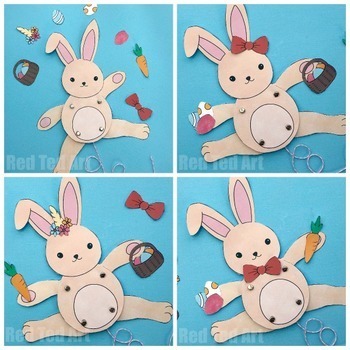 Additional features: customise your paper bunny puppet with hair bows, bow ties, turn it into a "uni-bunny", give it a carrot or eggs. So many different options for extra fun. You may also like our Doodle Origami Birds and cutest of cute Peeps Bunny Easter Tree Decorations! We also have more great Paper Easter Craft resources!